Upon release in 1989, Do The Right Thing shook the film world. Though director Spike Lee had earned indie acclaim with earlier efforts She’s Gotta Have It and School Daze, Do the Right Thing announced Lee to mainstream America. The film netted two Oscar nominations and took in nearly $40 million on a budget of $6 million. Do the Right Thing is routinely praised for giving voice to issues black communities deal with every day. The film also gave voice to style trends that were emerging in Brooklyn at the time. Lee introduced Bed-Stuy’s burgeoning street style of the era to a wide audience, helping shape trends in men’s fashion that would resonate throughout the next decade and beyond. Men from Atlanta to Los Angeles recall the film as a formative moment in their style education. While some of the trends Spike incorporated in the film had come and gone by the mid-’90s, others endure to this day. Almost every aspect of the film’s costume design (by visionary costumer Ruth E. Carter) speaks to the very particular cultural moment that produced a street style that was colorful, expressive, passionate and very Brooklyn. To say that Jordans wouldn’t have become a cultural touchstone without Do the Right Thing would be a bit naive. But, Spike did as much as anyone not named Michael Jordan to popularize the shoes. Buggin’ Out (Giancarlo Esposito) getting his sneakers scuffed by a white guy in a Larry Bird jersey is an important plot point in the film (not to mention a small form of symbolism), and this is just one of the ways that Spike has centered the Jordan brand during his career. While Spike’s character in Do the Right Thing isn’t a Nike pitchman, athletic gear is essential to his style. Mookie’s Jackie Robinson jersey is one of the film’s iconic looks. While the interest in throwback jerseys that spiked in the ‘90s didn’t have just Do the Right Thing to thank, Lee was on the cusp of a trend. Between 1989 and 1993, Starter sales doubled, allowing the company to go public. Champion, Russell and Logo 7 all followed Starter’s lead and began producing bold athletic wear known for bright colors and big logos. The ‘90s “athletic wear as casual wear” boom died down eventually, but remained a fixture of street style. Mitchell & Ness throwback jerseys emerged from obscurity and led to significant profits for the legacy company in the late ‘90s, culminating in a purchase by Adidas a decade later. The enduring popularity of athletic wear as streetwear has led to a variety of custom takes on baseball, basketball and football jerseys in the last few years. It wasn’t just Jordan’s that helped Buggin’ Out stand out in Do The Right Thing. Though Buggin’ Out’s costume is one of the less remarkable looks in the film, young Giancarlo Esposito (best known today as Breaking Bad’s Gus Fring) helped make round frames iconic. Here is another instance where Lee was ahead of the curve, as coke bottle frames became a ‘90s fashion trend. 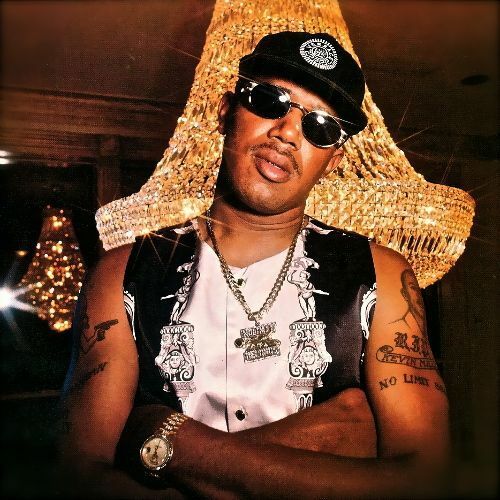 Of course Espositio’s character isn’t the only one in that era to rock circular frames (how could we forget Master P’s Cartier frames), but we can’t imagine Buggin’ Out...well, buggin’ out behind his classic glasses. In the last few years, round frames have come back in vogue. Artists like Migos and Wiz Khalifa have brought the circular frames back into the mainstream. Brands like Moscot and David Kind have been pushing circular frames as the hip once again look to Buggin’ Out for ocular inspiration. In a film packed with iconic looks, Radio Raheem’s might be the most enduring. The oversized boom box, the Love/Hate brass knuckles and, of course, the “Bed Stuy: Do or Die” shirt tell a story on their own. If you peruse Etsy or take a look at the various online pop culture t-shirt start-ups, you will run into this shirt sooner or later. Over the years, high and low-end brands have been inspired by (and sometimes straight up ripped off) Raheem’s signature shirt. Of course, some of the shirt’s popularity is owed to the enduring phrase “Bed-Stuy Do or Die.” But, continued fascination with the shirt is at least partially due to design similarities with the work of the late Jean-Michel Basquiat. The design on the shirt plays as a pop art homage to the bold, abstract images of the late artist. Leading up to and following his death in 1988, Basquiat’s work was hugely influential in the New York art world. Because his work was influenced by street art, and in turn street art was influenced by his work, Basquiat’s pieces often strike audiences as Brooklyn incarnate. Lee himself readily admits to being deeply influenced by Basquiat. Though the image on Raheem’s shirt is softer than much of Basquiat’s work, the abstract, boldly colored imagery is both indicative of Basquiat and Brooklyn art of the era. Basquiat remains hugely popular in the streetwear world today—with or without a now-classic Supreme collab. Many of the characters in Do The Right Thing wear Afrocentric accessories. In accessorizing his actors with Africa pendant necklaces and kufi caps, Spike was reflecting the current cultural moment. In July of 1989, The New York Times ran a trend piece on the Afrocentric accessories that were suddenly being sold all over New York, from Harlem to Bed-Stuy to Times Square. There was an intellectual focus on Black identity in African-American communities of the era, and the fad echoed this examination. Afrocentric accent pieces caught on like wildfire in the late ‘80s and early ‘90s, with groups like Experience Unlimited, Heavy D and the Boys, Kool Mo Dee and Public Enemy wearing Afrocentric jewelry at their concerts. Unlike many of the trends in the film, you see far less of this today than you did in 1991. By the mid to late ‘90s only a few artists, like Aaliyah and Erykah Badu, were still bringing Afrocentric styles to a mainstream pop culture stage. Not only did Do the Right Thing give rise to specific trends, the film also put specific streetwear brands on the map. Hip young black men and women in Bed-Stuy were already wearing Afro-Centric brands like Cross Colours (or putting together their best approximation at local thrift stores), but after the film debuted, sales soared and Cross Colours established a national platform. The film established the bold, colorful Cross Colours aesthetic, and tied into the Brooklyn aesthetic. Cross Colours expansion from a regional LA shop to a nationwide outfit roughly coincided with the release of Do the Right Thing. Though Cross Colours clothing isn’t featured in Do the Right Thing, Spike and founders Carl Jones and TJ Walker were inspired by the same style communities. Several years later, Do the Right Things costume designer Ruth E. Carter would use Cross Colours pieces on Fresh Prince of Bel-Air. Spike himself was known to wear Cross Colours well into the ‘90s. Aspects of Do the Right Thing’s style legacy live on today in numerous enduring streetwear trends. Even when these trends cycle out of style, the film will continue to act as a perfect document of a fashion moment in Brooklyn that set the stage for a decade of men’s fashion dominance. It’s likely that the film will continue to inspire future generations of urban designers. Just as the cinematic influence of Do the Right Thing seems destined to live on for decades, the style influence of the film will likely continue to reverberate for years to come.